Have you ever waited at a bus stop for what seemed like a never-ending period only to give up and seek an alternative means of transport? Or maybe you looked at the posted schedule only to discover that the next bus wasn’t due for over half an hour. Both of these scenarios stem from the problem of transit infrequency, which acts like an apparently unseen parasite, sapping away at the life of your local transit agency, discouraging use. I’d like to discuss the issue of transit infrequency, its origins, effects and possible solutions. First one must understand why this is such a huge issue for transit systems large and small alike. When a bus or train travels a route below a certain frequency it is deemed impractical by its users, the public. Needing to get to and from work, an appointment, or even simply waiting with bags of groceries all carry a personal threshold: how long are you able or willing to wait until your transit arrives to whisk you off to your destination? If you’re late for a job interview, that threshold is likely very low – you need that bus to come within minutes. Or perhaps you are out for a leisurely Saturday of shopping and you don’t mind waiting a bit longer – your threshold for transit infrequency is notably higher. Eventually everyone reaches the point when they simply cannot or will not wait any longer. What is the negative effect on their community from this problem? The alternative means of transport is most likely in the form of a car, whether a taxi or private auto. Clogging the roads, taking up parking, the private car is the principle enemy of any transit agency, an agency whose purpose is to reduce car usage. In larger cities the target should be complete schedule elimination. So what causes a transit agency to not run a bus or train route frequently enough? I’ve distilled the issue into three key areas: cost, fleet size and demand routing. Many agencies will say that they can’t afford to run their buses or trains in close succession with each other due to fuel and energy costs. While a valid concern, I point to the vast improvements in vehicle efficiency over the past decade and a half to counter this issue. Diesel-electric hybrid buses or electric trolley buses (ETB) consume less or no fuel thus saving on energy costs. In the case of ETBs a city is not just benefiting from energy savings, but they also eliminate street-level exhaust pollution and experience higher efficiency in vehicle performance. ETBs have incredibly high torque and are particularly adept at accelerating up steep hills, even from a dead stop. It is no wonder that they are in heavy use across the hilly city of San Francisco. Alongside energy saving tactics, increased frequency means an increase in paid fares, which can at least help defray larger operating expenses. A bus stop in Singapore deviates from traffic allowing for free flow while high service frequency keeps stops and buses less crowded. Another added benefit of high frequency. Next there is the problem of fleet size. While a large city usually can afford to own and maintain a considerable fleet of buses and trains, smaller municipalities might not have such luxury. These are, after all, a bit more expensive than your family sedan. This is where transit agencies should think creatively. Do they need to purchase brand new vehicles at top dollar prices or can they buy used vehicles at a fraction of the cost? Perhaps they should explore leasing options to hold them over until they have the funds required to purchase new vehicles. Or what about partnering with the private sector and leasing out select routes to a private bus operator which would supply the buses and drivers as well as take care of maintenance and insurance costs. Lastly there is the issue of demand routing, or knowing which routes have the highest demand and need for frequent service. Traffic studies can be expensive and take considerable time and often tell you what you already know. If budgetary constraints prevent such studies maybe simple experimentation could achieve similar results. Implementing new bus routes where demand appears high can be an innovative way of seeing if such appearances translate into increased ridership. If the demand isn’t what it appeared to be, simply amend or cancel the route (while of course clearly stating that the route is in testing). This style of on-demand bus routing is currently being used in Boston by a private company. The ideal outcome of having very frequent service is to both encourage usage and induce transit demand. 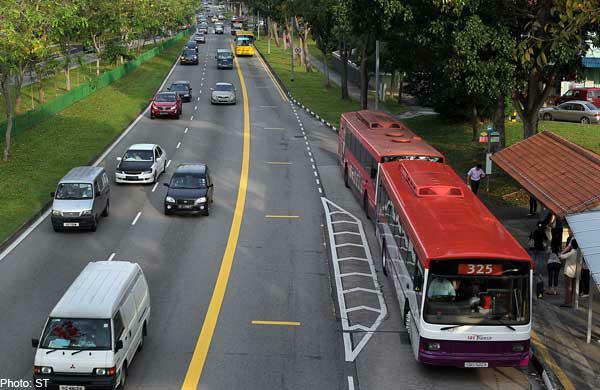 Just like a multi-lane expressway encourages more cars to take to the road, thus inducing demand (and recreating the problem of road congestion), higher transit frequency removes an obstacle for transit users, the obstacle of time. If you can be certain that you will not wait longer than ten minutes during rush hour (less in a larger city I would hope!) or say 15 minutes during off-peak hours, you are less likely to forgo the bus or train. Better yet, if there are countdown clocks installed at your stop you can easily see exactly how many minutes you need to wait for the next service. Perhaps you have a moment to grab a coffee or drop a letter in the postbox at the corner shop, or vice versa you see that you have only two minutes until the next bus and should refrain from that coffee, despite its deliciousness. Over time as the public grows accustomed to not having to wait very long for transit service they will more often choose transit as their preferred mode of transport, reducing their car usage and keeping the streets clear for buses, trams, cyclists, etc. In larger cities the target should be complete schedule elimination. i.e. the service should be so frequent that passengers should not have to bother looking up their line’s schedule because they know their next bus or train will be there within but a fleeting moment. For New York I can dream of the frequency seen in Tokyo with trains arriving every two minutes during rush hour and every four minutes during off-peak. Or for the denizens of little Bloomington, Indiana, where I went to university, they might see a Bloomington Transit bus come four times an hour instead of just a paltry once or twice. Costs aside, the benefits of increasing transit frequency are worth subsidising. Public transport is for the benefit of all; those who cannot afford private cars alongside those who prefer the efficiency of transit. If a municipality has attempted all methods of cost savings to provide high frequency service yet still runs a transit budget deficit, it is my hope that the people and their city leaders see the social and not just economic benefit of covering the cost. Public transport is not, after all, intended to make a profit.